Those funny numbers on the side of your tyre aren’t just for decoration, they tell you valuable information about the tyres fitted on your car. Check out this video for a breakdown of what exactly those symbols mean. This video is talking all things tyre pressure, including the dangers of using the incorrect tyre pressure and exactly how to find out what your tyre pressure should be. It's time to get yourself clued up on tyre changing so you’re never stranded on the side of the road with a flat. Watch this video for a step by step guide on how to change a tyre and a couple of laughs along the way. Driving on worn tires can be incredibly dangerous so it’s a good idea to keep an eye on your tread depth. 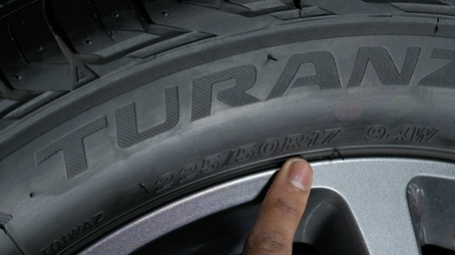 Luckily for you, this video gives you the run down on all things tyre tread.